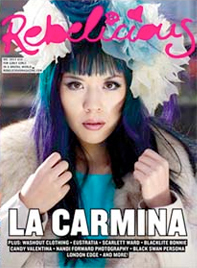 Hi, I'm La Carmina. Welcome to my Spooky-Cute World! 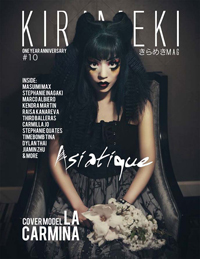 I'm fascinated by youth subcultures and alternative beauty around the world (especially Goth and Japanese). I started blogging in 2007, and my site grew to opportunities I never imagined -- including writing books, and hosting TV shows. Today, I travel constantly with my film team. We seek out stories about people pushing boundaries -- such as bagelhead inflation in Tokyo, cosplayers in Bangkok, and drag queens in Cape Town. Enjoy my TV reel (to the left), with clips from Oddities, Bizarre Foods, Kawaii TV and more. 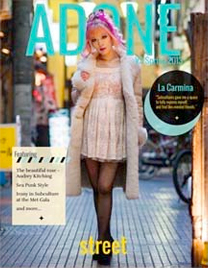 Please also check out my travel & style blog, and add my social networks (@lacarmina). 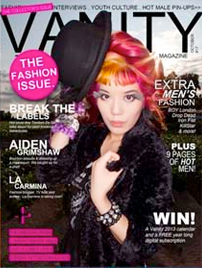 Above is a selection of her magazine covers. See more press features and modeling photos. Want to work with La Carmina? Check out her full biography, and write to her. For the latest news and personal notes from La Carmina, enter your email below & click! 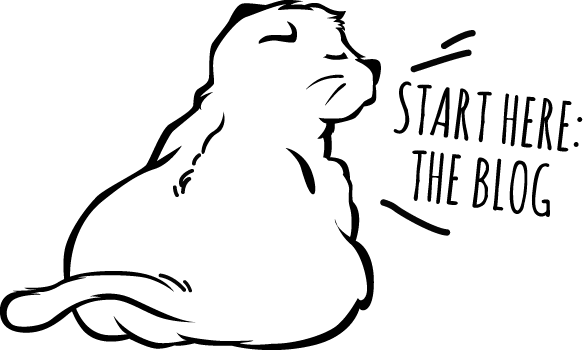 La Carmina also runs a production company for TV fixing and location arranging, especially in Japan.